These burgers are packed with goodness and flavour. Due to the spices used they have a very similar taste to Indian style pakora’s, which are delicious deep fried fritters. 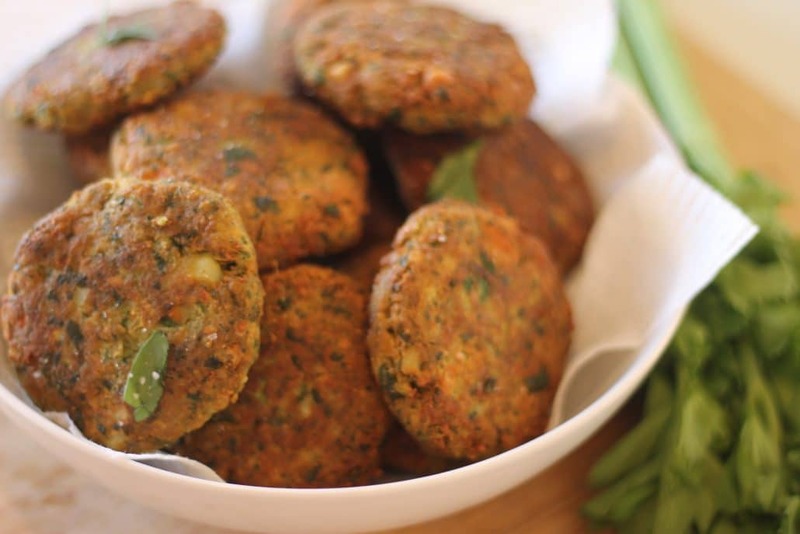 Unlike most fritters or burgers however, these are perfect for those who have a dairy or egg allergy. Despite being dairy, egg, nut and gluten free they’re still nice and soft in the middle and have the perfect overall consistency. My young boys will eat them with a side of steamed vegetables and avocado and Ill often have them for lunch on a bed of green leaves and a fried egg on top. They’re so good. You can omit some of the vegetables such as the carrot and capsicum but I like to sneak in as many vegetables as possible and they always add more flavour and using a food processor makes this recipe very quick to whip up! 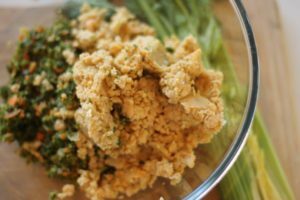 I love to cook with chickpeas, especially due to the dairy allergies in our house as they’re great for bone health. The iron, phosphate, calcium, magnesium, manganese, zinc and vitamin K content that’s present in chickpeas all contribute to building and maintaining bone structure and bone strength. Who needs dairy anyway! 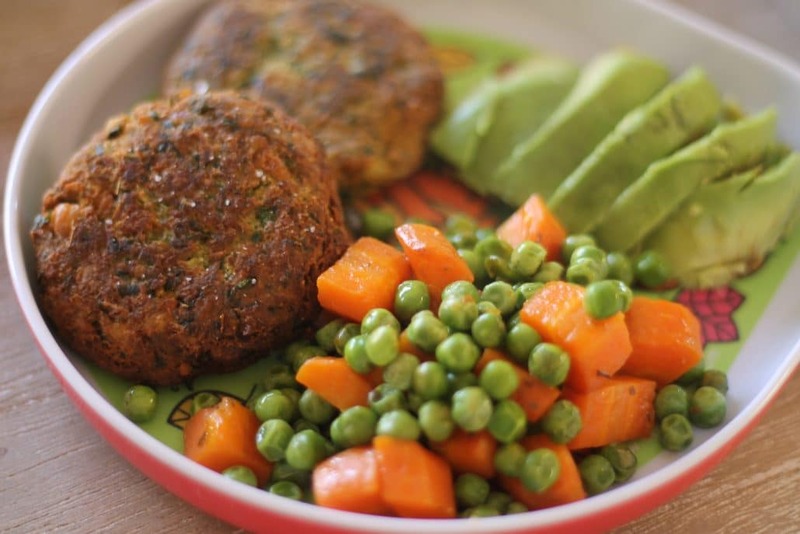 Share the post "Curried Veggie Burgers"
Allergy information: dairy, soy, egg, nut, wheat and gluten free. Vegetarian and vegan. Cut a potato into four and pop in some boiling water to cook. While that’s cooking place the onion, carrot, capsicum, coriander and ginger into a food processor and blitz until finely diced and set aside in a large bowl. 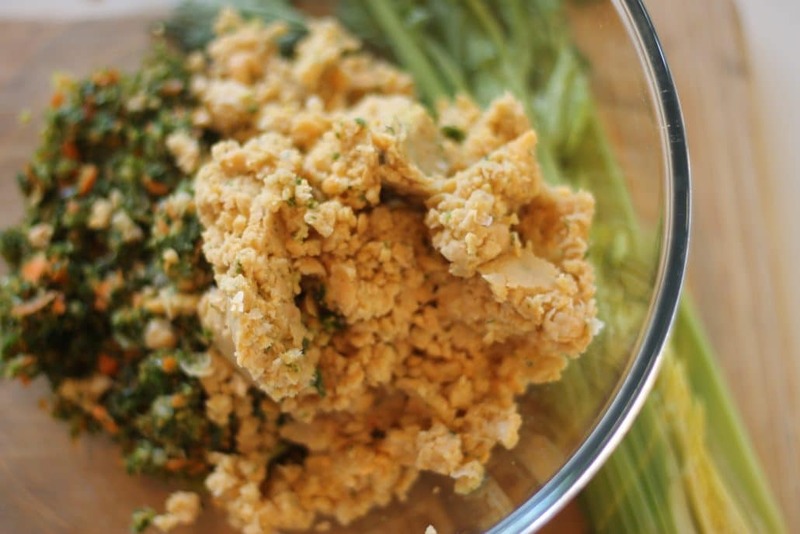 Now blitz the chickpeas and the cooked potatos in the food processor and add to the bowl along with all the remaining ingredients - the flour, salt, pepper and the spices and give it all a really good mix. Grab a large frying pan and heat up the coconut oil. 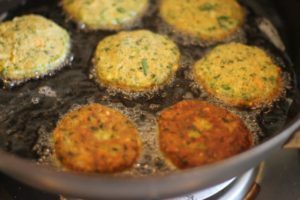 Now scoop about 1 tablespoon of the chickpea batter into your hands and roll it between your palms to make a thin patty and pop in the hot pan. Add as many patties to the pan as you can. Cook each side for about 2 minutes until both sides are golden brown and place on a plate with some absorbent paper to soak up any excess oil.